I love double stamping. I wish I had a better eye for determining what looks good together. I figured you can never go wrong with black and white. This was very classic looking in person. Cute! Really like the design on the background. 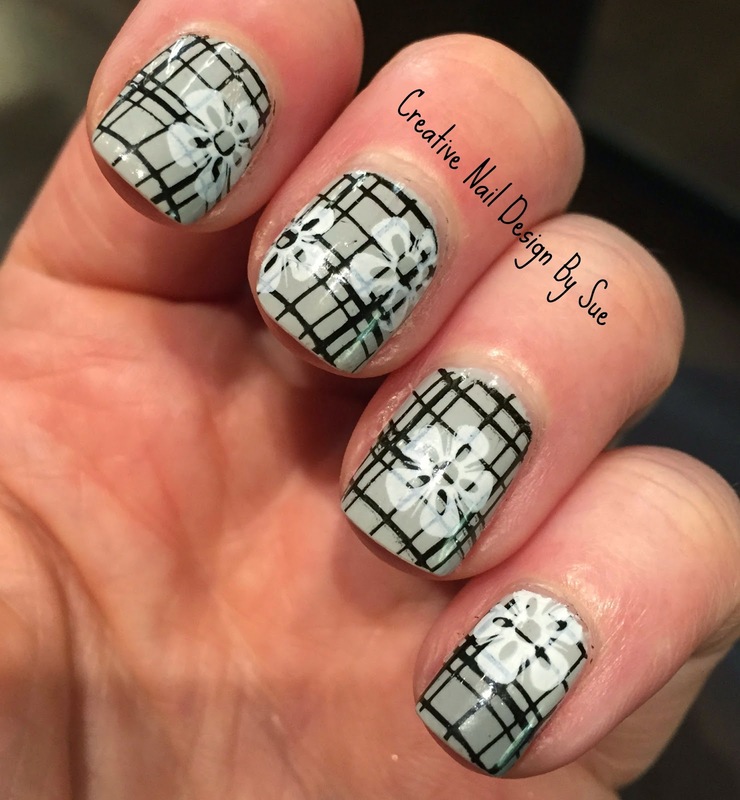 I never tried double stamping, but you convinced me to try it as soon as possible, because this mani looks AMAZING! This pattern works so well in monochrome. These look amazing! Love these! Fabulous! The colours and stamping are perfect! I agree that you can never go back with black and white!! Hello! I would like to open cosmetology salon. Do you have an experience in this business? There are too many options in beauty salon equipment. Could you give me an advise? What companies are more reliable to buy facial magnifying lamp and cavitation lipo?